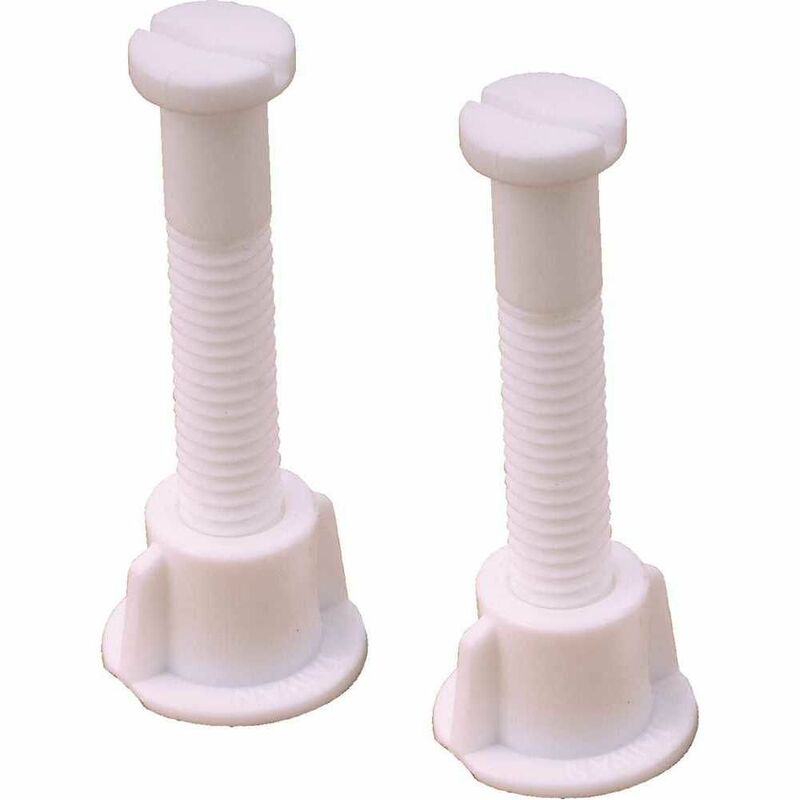 Proplus -- 7/16 inch X 2-1/4 inch Sturdy White Plastic Bolts and Nuts. Will Not Corrode. Sold In Pairs. Toilet Seat Bolts, Plastic, White, 7/16 inch X 2-1/4 inch Display Bag Proplus -- 7/16 inch X 2-1/4 inch Sturdy White Plastic Bolts and Nuts. Will Not Corrode. Sold In Pairs.